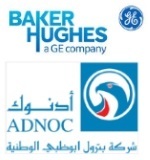 édité le 08/10/2018 - Plus de news de "BAKER HUGHES" - Voir la fiche entreprise de "BAKER HUGHES"
Abu Dhabi National Oil Company (ADNOC or the Group) and Baker Hughes, a GE company signed a strategic partnership agreement, that will enable and support the growth and development of ADNOC’s subsidiary, ADNOC Drilling, into a fully-integrated drilling and well construction provider. As part of the agreement, BHGE will acquire a five percent stake in ADNOC Drilling. The transaction values ADNOC Drilling at approximately $11 billion. BHGE will be the sole provider of certain proprietary leading edge and differentiated equipment and technologies related to the integrated drilling offering, supporting ADNOC Drilling’s growth. Together, ADNOC and BHGE will deliver more competitive well completion times, greater drilling efficiencies and better well economics, and will capitalize on new business opportunities as ADNOC Drilling grows through its new expanded offering.